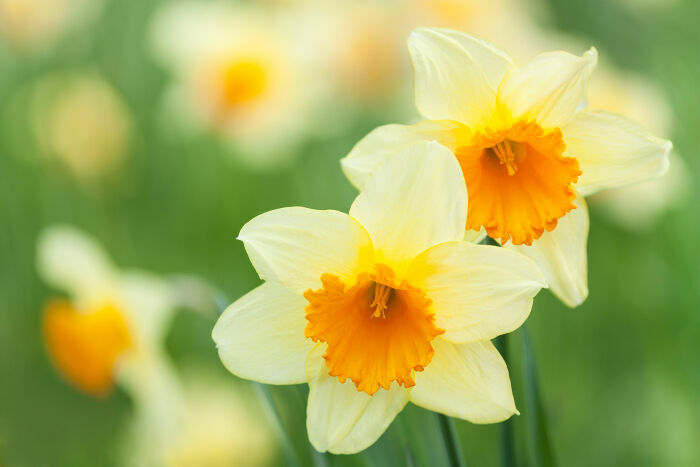 Whether you call them Narcissus, Daffodils, or Jonquils, these cheerful flowers are among the earliest blooms to poke through the frozen soil in early spring. Heralding the warming to come, these flowers remind us that no winter freeze can last forever. Bring a little more life and beauty into your world by embracing all that the Narcissus symbolizes for cultures around the world. 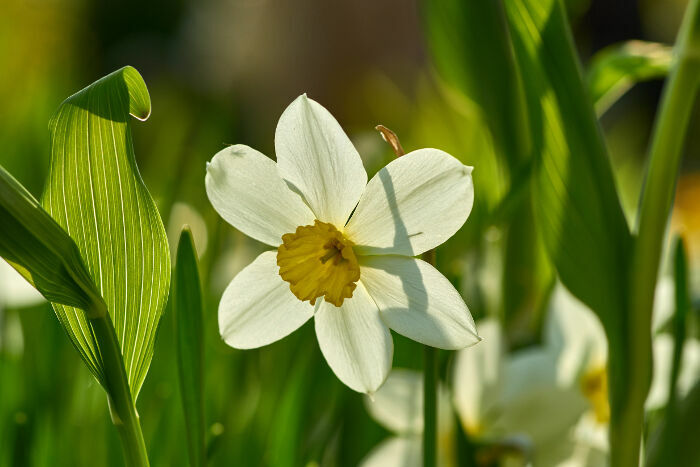 What Does the Narcissus Flower Mean? Not all of the Narcissus meanings are strictly positive. You can tell a friend you’re hoping for their success with a potted plant, or you can warn them about an ego that’s growing out of control. Narcissus is a Greek name that became linked to this plant thousands of years ago. 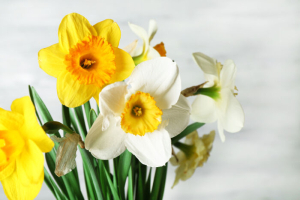 It doubles as both the common name and scientific moniker for about 50 different flower varieties, including all of the common Daffodils. The name comes from a Greek word for narcotic, but it’s also tied to the myth of the young man known as Narcissus. He was the son of a river god and a nymph, and he fell in love with his reflection due to his immense beauty. The first Narcissus flowers sprung up around the pool where he drowned due to his obsession with himself. The Narcissus does come with a few negative symbols due to the association with narcissism. Aside from signaling a person is a little too self-obsessed, this flower is ideal for reminding someone that there is always a chance for things to improve in the future. 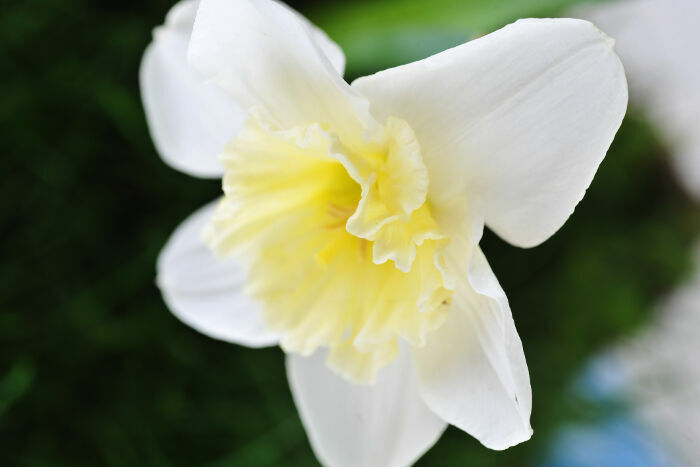 The Narcissus means rebirth and renewal because it’s one of the earliest bulbs to sprout. If you know someone that is the first to arrive at every event, you can celebrate their punctuality with this flower. The Victorians considered it an egoist’s flower, while the Chinese use it to symbolize future prosperity and wealth. Almost all Narcissus blooms show up in shades of orange, yellow, and white. This links to the flower to purity and rebirth through the color meaning as well as its other physical characteristics. The sunny color is very charming and encouraging, especially after a long winter with no flowers in sight. Many people keep paperwhites, a white variety of Narcissus, in their home during the winter to force blooms for the beauty of nature while everything outdoors is dormant or dead. 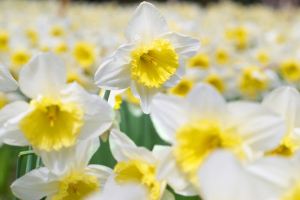 Narcissus look charming but pack plenty of poison into their bulbs, stems, and flowers. Even picking too many plants can leave you with itchy skin due to the irritants in the sap. However, researchers are extracting certain compounds from the bulbs that for Alzheimer’s treatments. The flower is also processed for aromatic compounds added to perfumes for a dark green leaf smell with a light hint of white floral. There are many cases of illness and injury when the bulbs were mistaken for garlic or onions and eaten, but they taste so bitter and soapy most people stop after a single bite and only ingest enough poison to develop stomach pain and distress. Nothing bad can last forever because spring is always just around the corner. You can recover from anything if you focus on the positive, and good things are already on their way to you. I never really understood plants, however, I am now interested to know more about it. Narcissus is so positive about life that it supports a lot of new beginnings; furthermore, I am trying to build a new me for the next year and with the knowledge of how this flower, it can bring positivity, which makes me feel satisfied. definitely getting this.